while watching TV and playing games. 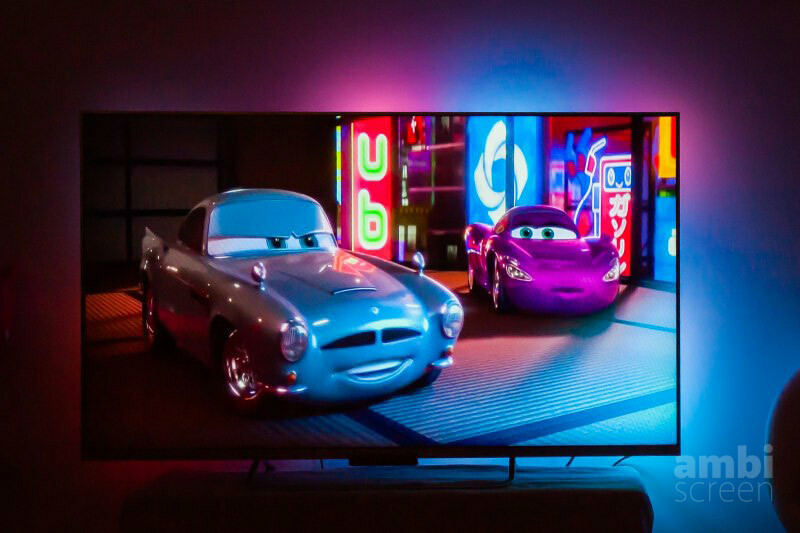 First true stand-alone ambient display back-lighting for any native TV, 4K HDR, and any content such as Netflix, Hulu, YouTube, any apps, game consoles, boxes and players, ...), computer display. Supports all resolutions (even future resolutions not on the market yet). 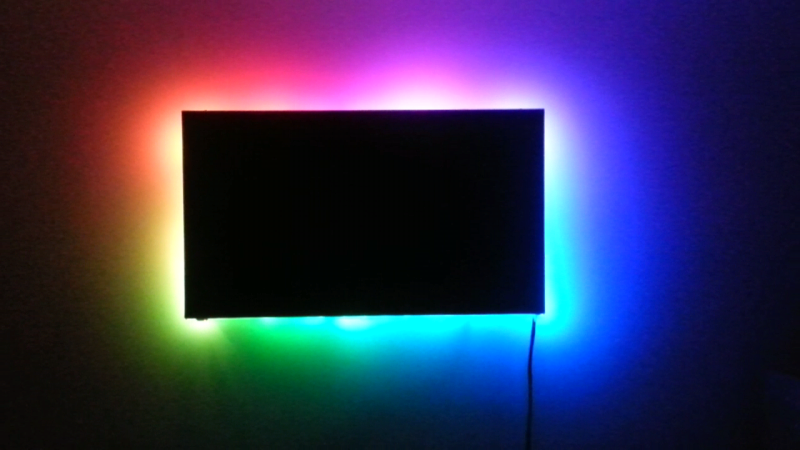 Integrated mood light system. Get better movies and protect your eyes. 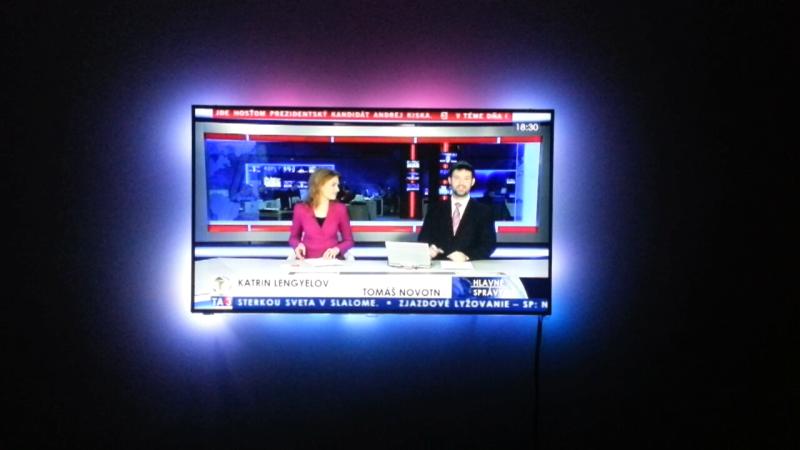 Lovely color effects and mood-lights when you are not watching TV. Supports all resolutions (even future resolutions not on the market yet). get fresh news about ambiscreen! 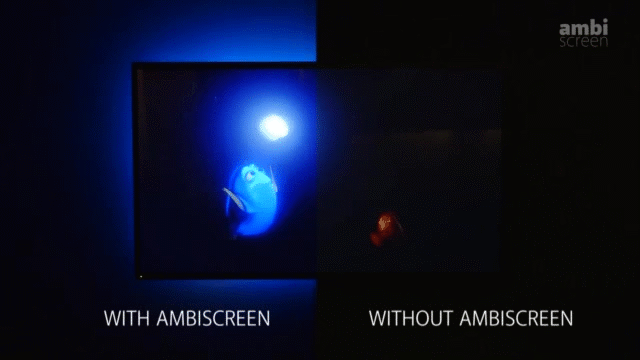 AmbiScreen EYE Technology - converts any visual input to colors like human eye. 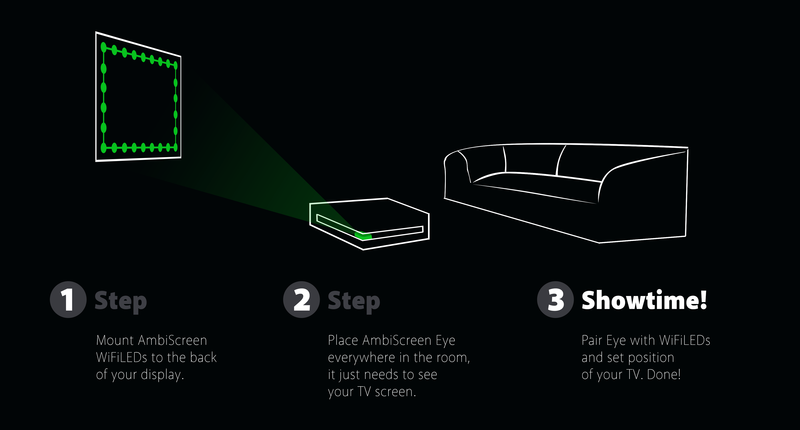 Place AmbiScreen EYE everywhere in your room, it just needs to see your TV. Point it outwards to bring nature to your living room. Smaller and more powerful than any previous version. 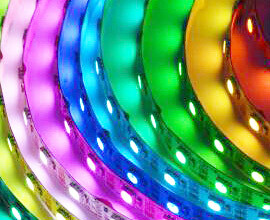 Advanced features WiFi LED strip can work also without AmbiScreen Eye unit with built-in color effects. 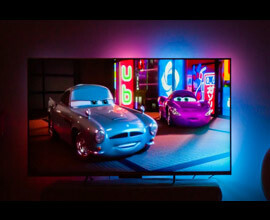 Ready for future When you replace your TV in the future, it will work with it. 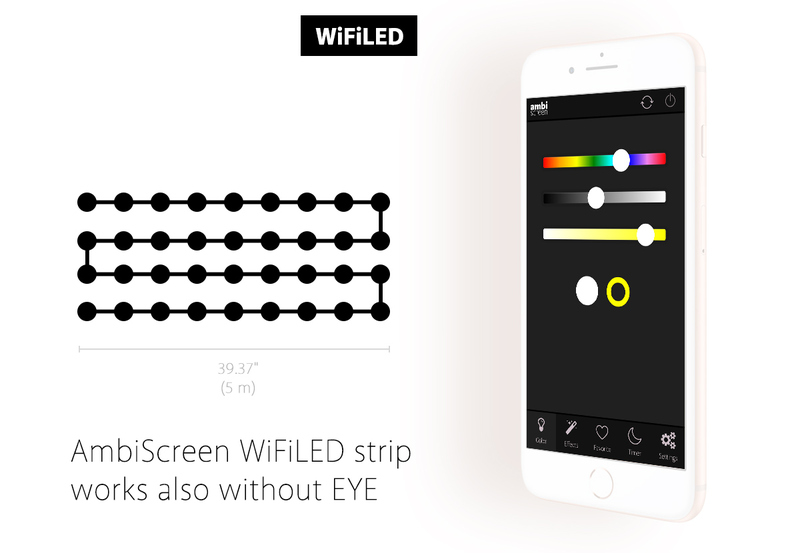 AmbiScreen WiFiLED strip can operate separately even without EYE. 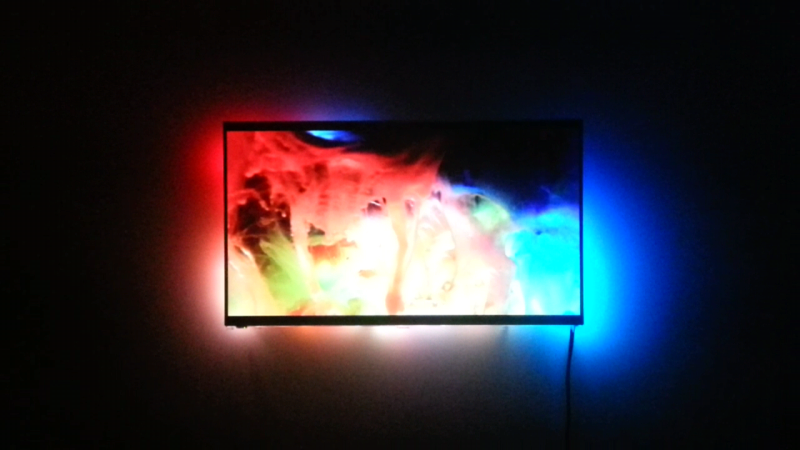 Mood-colors and various effects are available. Developers can communicate with AmbiScreen WiFiLED via API.  *The better wifi, the better effects - quality of your home wi-fi can influence speed of color refresh rate. 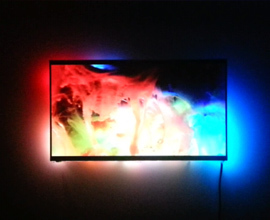 ambiscreen is designed for higher level of your visual experience while watching TV or any other display. Your eyes need time to adapt to bright and dark scenes. It is called the "iris" in your eye which is responsible for this. ambiscreen helps iris to reduce this time so your eyes are protected while watching. 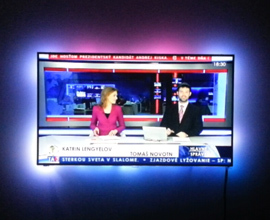 ambiscreen is fully stand-alone system with LEDs. It doesn't need computer as a controller. Just point ambiscreen EYE to your display (previous version of AmbiScreen Box was pass-through device). 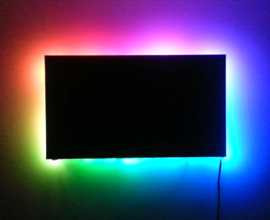 Mount LEDs to your display with included adhesive layer. 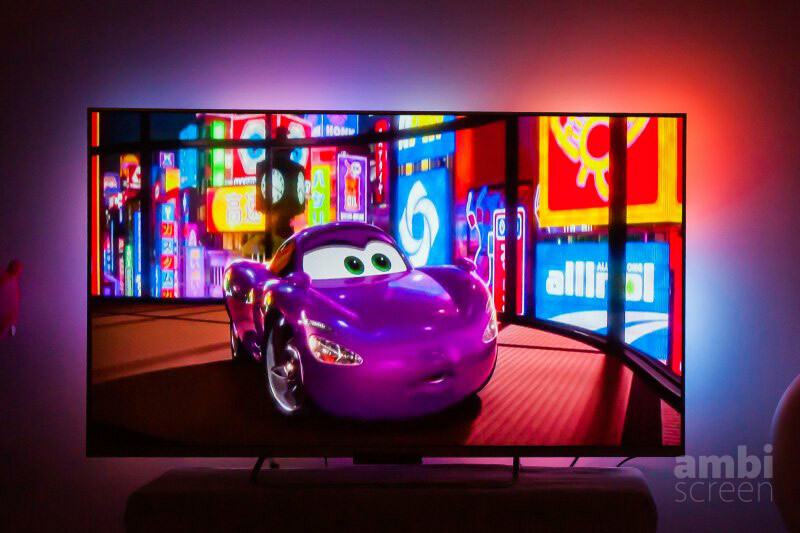 You can use any video source (set-top box, native TV broadcast, computer display, DVD, PC, Xbox, Mac, PlayStation, Netflix, Hulu, YouTube, any apps, game consoles, boxes and players, ...). Eye perception is transformed to pictures in your brain. 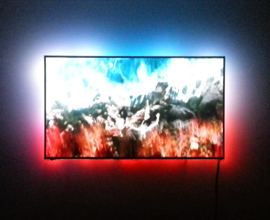 With ambiscreen ambient lighting system will your TV/monitor screen look bigger (e.g.40'' screen will be as 50''). 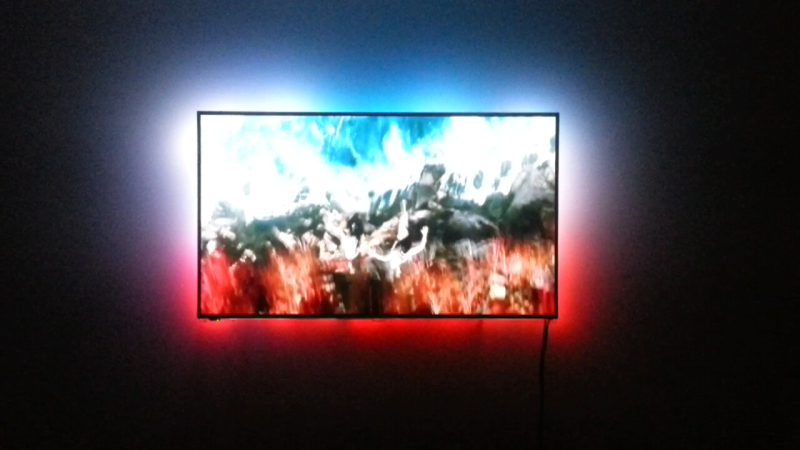 Special effects are ready at your hand when you are not watching your TV. Evoke the right atmosphere with smartphone app! 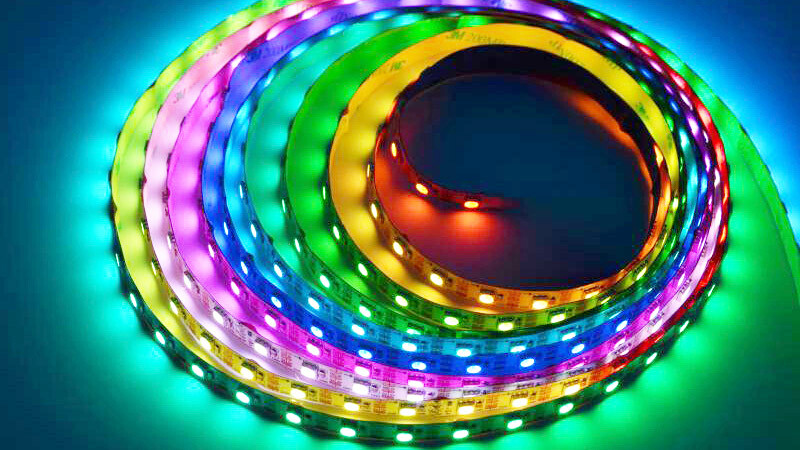 Get package of AmbiScreen Eye and WiFiLEDs with 5m LED strip, 150 LEDs. If you have bigger display drop us a line in order. Plug'n'play Plug cables and stick LEDs. Done! AmbiScreen is designed to be user friendly and everything is included. 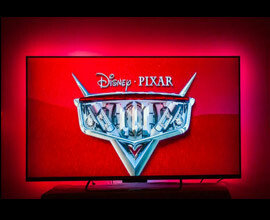 Unpack, plug, stick LEDs on the back of your TV/monitor screen, pair together and you are ready to go! 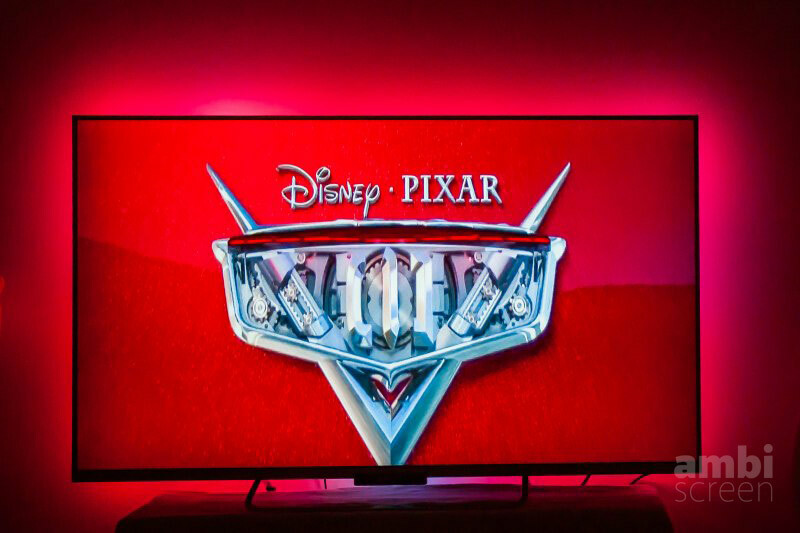 "Eyestrain can occur when the eyes are fixed on an object for a long period of time, there is poor lighting," explains John Bullough, Ph.D., lighting scientist at the LRC and lead researcher on the television study.  "... Reducing contrasts in perceived brightness between a visual display and its background will result in reduced visual fatigue and eyestrain." 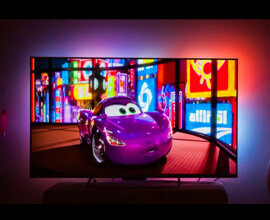 "...when you watch TV in the dark, then the problem is that that is the only lighting in the home. Your eyes are forced to constantly adjust to different levels of lighting which makes the pupils dilate over and over again. Your eyes use more muscles and fatigue those muscles involved."